Vinod Kumar (VK): One of the major challenges that the humanities is facing in recent times is due to increasing human mobility within and outside the national boundaries. These movements often throws several challenges that are social-economic and developmental in nature. How do we cooperate as a human civilization? VK: Thailand is a country much lauded for its peaceful multicultural relations. What social and cultural reasons you give for Thailand’s tolerant and accommodative nature? PSY: In the era of globalization, qualified and educated people supported with realistic perception and positive attitudes will enhance co- existence of peaceful multicultural relations. Common and shared understandings of both local people and foreign visitors are necessary. In Thailand, the motto the “Land of Smiles” is still true, which reflects the cultural tolerance of the Thai people. Buddhism is also regarded as cultural heritage of most Thai people. They have been taught to believe in Karma - actions and their consequences. Doing good deeds or actions is important in terms of building good Karma, which leads to good results and vice versa. Nationalism is seldom used by political leaders to protect national interests against outsiders. Political struggles are conflicts among politicians from different factions without relating to foreigners. VK: Thailand being the neighbor of India attracts more number of Indians. Please tell us about “Indians in Thailand” especially about Pahurat Road (Ban Kaek), where maximum Indians are residing. How does the Indian diaspora relate with Thailand? What are the contributions of Indian diaspora to the Thailand? PSY: In the past, human resettlements in Thai history could result from various reasons. Many multi-racial communities, not only Indians, scattered around various parts of Thai soil. The Indian diaspora especially about Pahurat Road (Ban Kaek) exists because of social and economic reasons. Of course, there is a group of elite in Indian communities. Indian communities scattered around Pahurat and other parts of Bangkok, such as Soi Nana, fill up the gap of business and commercial transactions between nations. Unbelievably, big business conglomeration with young Indian-Thai generation can be seen in Thai top business circle. Intermarriages between Indians and Indian Thais are still found in their own cultural society. Indian communities in Thailand in fact share a lot of cultural similarities with the Thais. A lot of Thai cultural practices are Indian-related. The Indian-Thais never cause any social, political or economic problems. They contribute a lot to economic and commercial well-being for Thailand. VK: Being an expert in the area of Law and political science, how do you think about the diaspora in today’s globalised world? Does the national legal and political system get challenged while dealing with the increasing size of diasporas? PSY: Thailand is a unitary state. People who have been brought up in Thailand speak the same Thai language regardless of their races and no problem exists among Thai people who share same language and culture in different parts of Thailand. Thai legal system does treat Thai citizens with foreign origins equally. Generally, there is no discrimination against second-generation disaspora. There has not been any obvious opposition from the public against diaspora. VK: It’s quite evident in the case of the most of the diasporas that the challenges often make them more enterprising rather than failure in foreign soil. The new social network provides them better social capital for harnessing useful resources for entrepreneurship. This happened to most of the diasporas from Asian countries as well as elsewhere. Can you please throw some light on these issues on how did the ethnic entrepreneurship in Thailand flourish and how did the social network help them in this regards? PSY: First, as mentioned above, there is no discrimination in Thailand against any disapora. They basically have all the freedom to do their businesses. Secondly, there are always opportunities in Thailand as the country has been growing economically. Thirdly, it is quite common for any diaspora to form social networks and business associations among themselves. Again, in this respect, Thai legal system is quite open. Moreover, the disapora do receive good higher education in Thai universities and abroad, which further enhance their business capabilities. At the same time, as globalization grows, Thai and Indian people who had closer contacts. This helps open up more business opportunities between the two countries. Furthermore, ASEAN market will be freely open for member nations at the end of the year 2015, including five main areas: freely open for products without tax barriers, freely open for services, freely open skilled human resources and eight professional areas, freely open for capital investment, and freer flow of fund. This is a great opportunity for them. VK: You have been working on several issues and your academic contribution to the legal and political studies are well known. Please let us know what are your current research? PSY: I am going to start a new research project with my colleagues from Korea. The research topic is about Korean business in ASEAN. VK: Any Other issues you find useful? PSY: This is my personal interest. However, it is interesting to conduct the research on “Indians, Thai Indians and its heritages in Thailand.” If I can work together with Indian scholar to conduct the research with some sources of sponsorship, that will be great. VK: Thank you Professor Samrit for sharing your insights on the diaspora issues. These ideas will definitely help in providing insight to scholars engaged in diaspora and migration research. 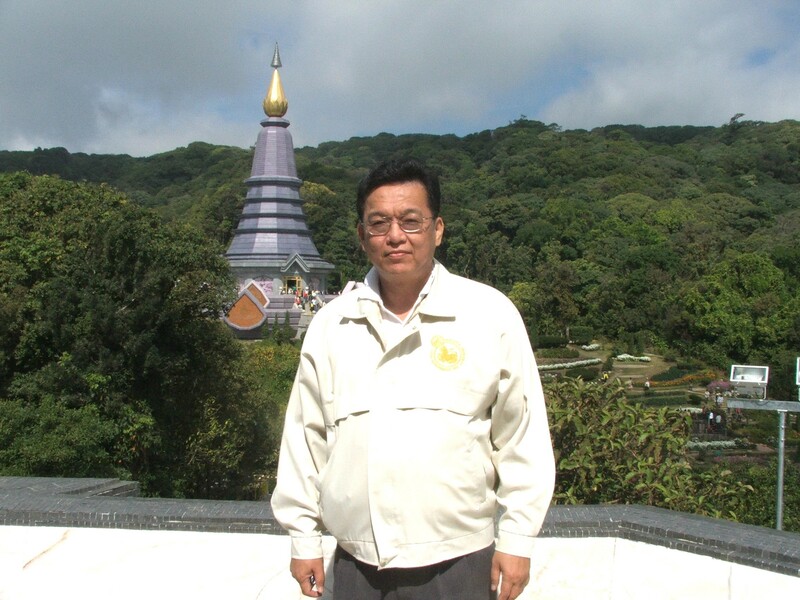 Prof. Samrit Yossomsakdi is a Faculty Member in Political Science and Law, Burapha University, Thailand. He did his Ph.D. in Political Science at Northern Illinois University, U.S.A.,1999. He held several positions in the University i.e Department Head, 1992, Associate Dean for Academic Affairs, Faculty of Humanities and Social Science, 1999-2001, Associate Dean for Research and International Affairs, Faculty of, Humanities and Social Science, 2001-2002, President, Faculty Senate Council, 2002, Head, Department of Political Science, Faculty of Humanities and Social Science, 2002-2007. He has published wide range of research papers in issues related to higher education policies, governance.